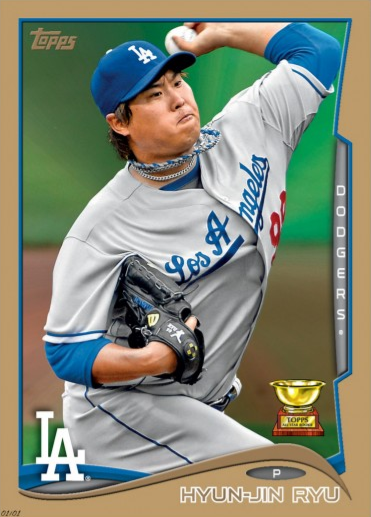 A New Dodger Autographed Card for the Collection - Do you Remember Norihiro Nakamura? When Adrian Beltre left for greener waters after the 2004 season an obvious hole was created at third base. We were all left to wonder who the Dodgers would get to man the hot corner the next season. Is there even anyone in the system who can do the job? For a time, our questions were answered when the Dodgers announced that a Japanese slugger by the name of Norihiro Nakamura had been given a non-roster minor league contract and an invitation to earn the job during Spring Training. Suddenly, thoughts danced around our minds wondering if he might be a power-bat version of Ichiro. Did we just find a diamond in the rough? 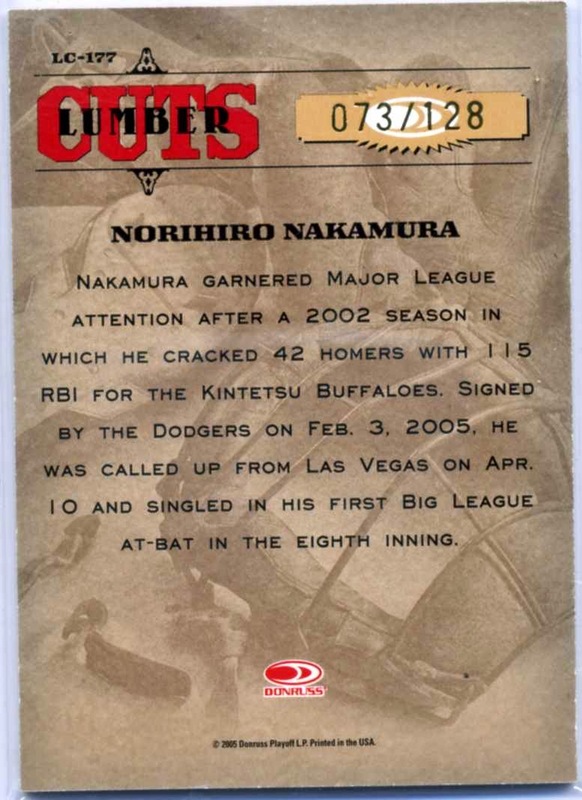 As you may know, Nakamura was a premier hitter in Japan. He had slugged over 30 home runs five-times, 100 RBI's three-times and OPS'd over .850 five-times prior to 2005. Unfortunately, he suffered a torn knee cartilage a couple of years back and saw his numbers decline as a result. Still, he could prove to be a effective veteran bat. Nakamura did well enough at Vero Beach to make the Opening Day roster, but did not do enough with the bat to stay. He slashed .128/.171/.179 and recorded just three RBI's for the Dodgers. 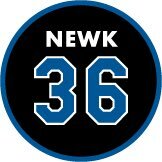 Less than a month into the 2005 season he was optioned to the Dodgers AAA club in Las Vegas and would never again make it to LA. "If Ichiro had started his career under minor contract like me, he couldn't be called up to Major League","This year is a kind of penalties for me", and "I don't know why I played in minor league". I hadn't realized he was that bitter about his MLB experience. Featured in this post is a new autographed card for my collection. 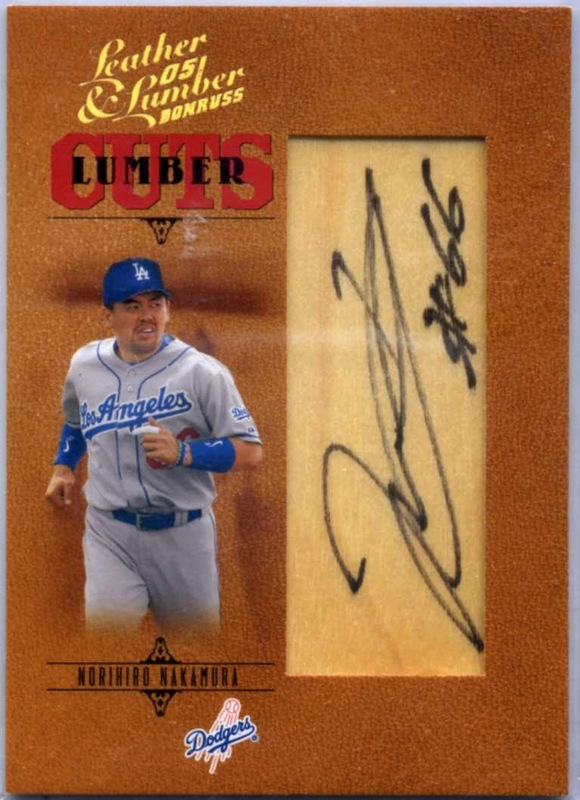 This is a 2005 Donruss Leather & Lumber - 'Lumber Cuts' autographed card of Norihiro Nakamura. 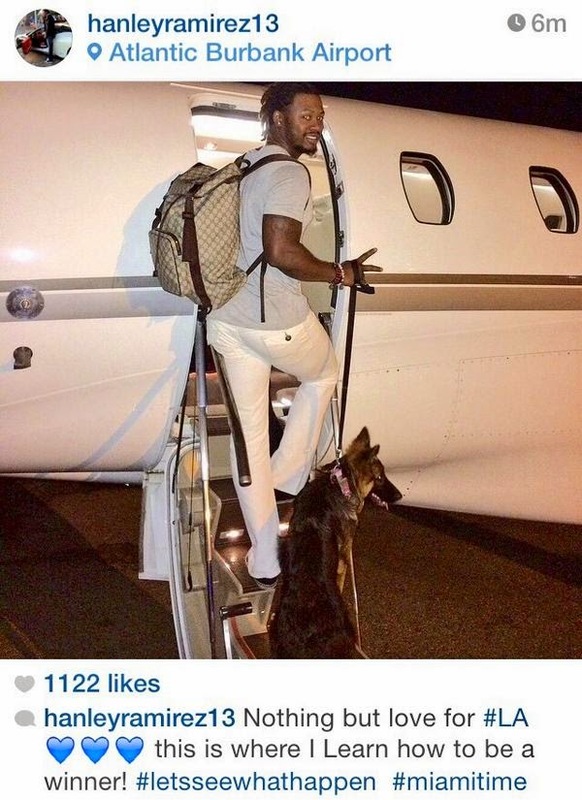 BTW, he continues to play professionally in Japan, but appears to be winding down his professional career. In 22 seasons overseas he has the following career totals: 2101 hits, 363 doubles, 404 home runs, 1,348 RBI's, .266 batting average and a .822 OPS. He was no doubt a great one. Unfortunately, it didn't translate well stateside. I just think the item below is amazing. It is no doubt filled with Baseball history, and if it could speak I'm sure it has some incredible stories to tell. 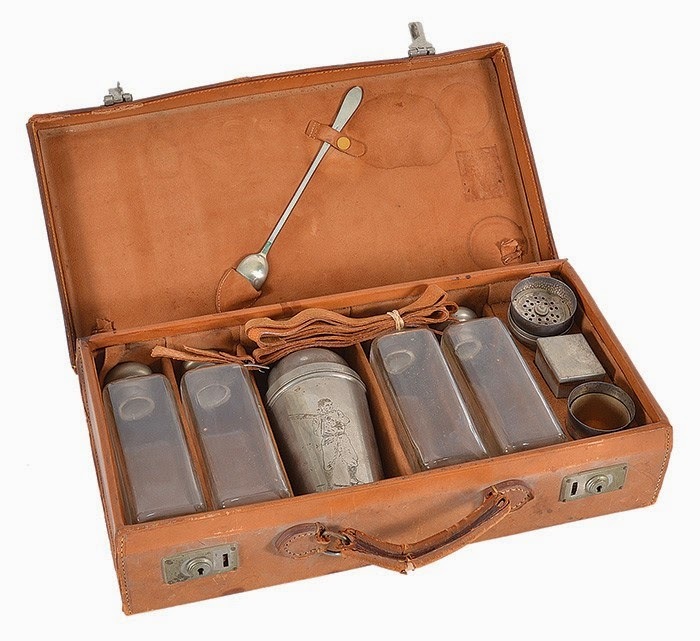 Featured below is a circa 1940 Kansas City Monarchs Trainer's Suitcase - Satchel Paige's Personal Medicine Cabinet! 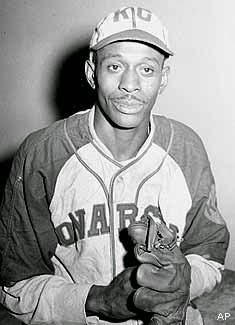 As you may know, Satchel Paige had a personal trainer named Frank Floyd; who also doubled as the team trainer for the Kansas City Monarchs. Well, as was common during games Paige pitched, the game would be delayed briefly while Frank Floyd came out to the mound with a bicarbonate soda concoction to calm his stomach. Satchel Paige had a notoriously bad stomach/digestive issues... So bad that he would need some treatments during a game. Ever the showman, these delays soon became a part of the show - a running gag during games. Hello Jim, just talked with some former Kansas City Monarchs who confirmed my original theory about the suitcase. 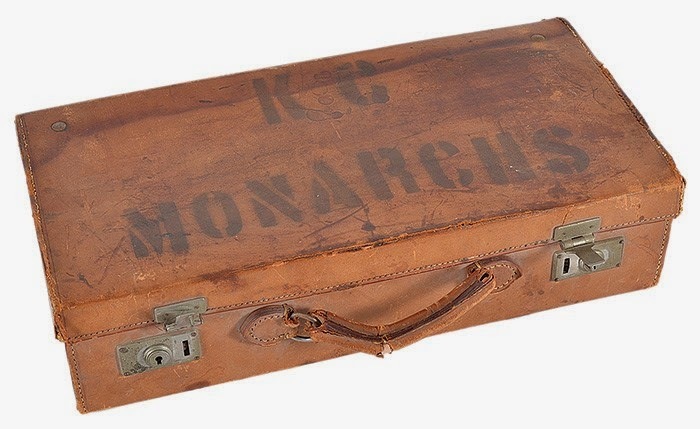 The suitcase belonged to Jewbaby Floyd, Kansas City Monarch trainer. 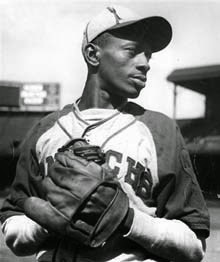 He was really Satchel Paige's personal trainer and would mix up solutions for Satchel's temperamental stomach. I wrote an article a few years ago about the celebrated Josh vs. Satch matchup of 1942. A paragraph taken from that article will give you the gist of your wonderful piece of baseball Americana. In Buck O'Neil's words: "Jewbaby Floyd was our trainer and he traveled all over the country with Satch. Wherever Satch would go, Jewbaby would follow. Jewbaby was like our team doctor. So after Satchel walked those guys, Jewbaby in his white doctor's coat and his black medicine bag marched out to the mound. Satchel had always had trouble with his stomach. Jewbaby opened his bag and mixed up some concoction, I imagine Alka Seltzer or something, in a cup and shook it up. Now mind you, this is happening right there on the mound. Now everybody in the stands knows what's happening. Satchel had walked these two men and now the people are standing, some 15,000 people. 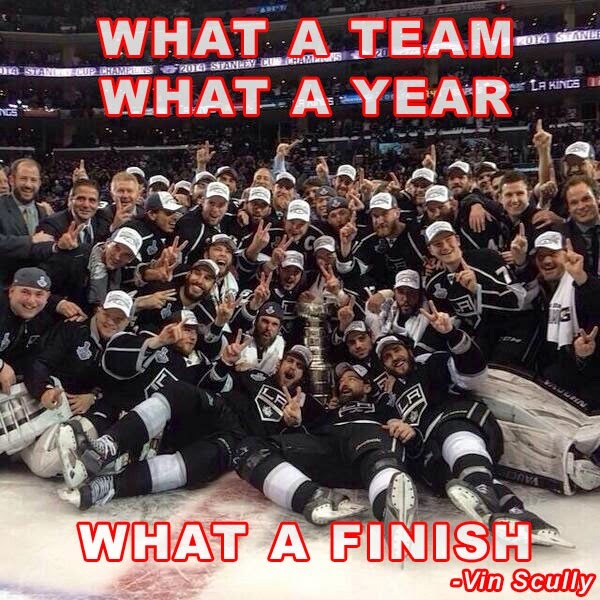 He took the cup from Jewbaby and drunk it down, right there on the mound, and gives the cup back to Jewbaby. He stretches out and gives out a loud belch that echoes throughout the ball park. So Jewbaby goes off the mound and now Satch is ready to pitch to Josh." I'll trade the rest of the story for the suitcase. Just kidding! If you ever want to sell it. 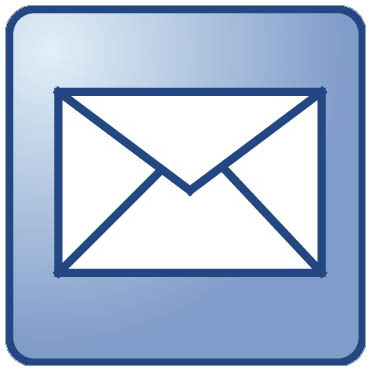 . . Have a great day and keep me in mind. This is an awesome piece of Baseball Americana, and if there's any justice it will find its way to a museum for all to see. Via Eric Stephen at True Blue LA, "Dodgers offseason roster breakdown." 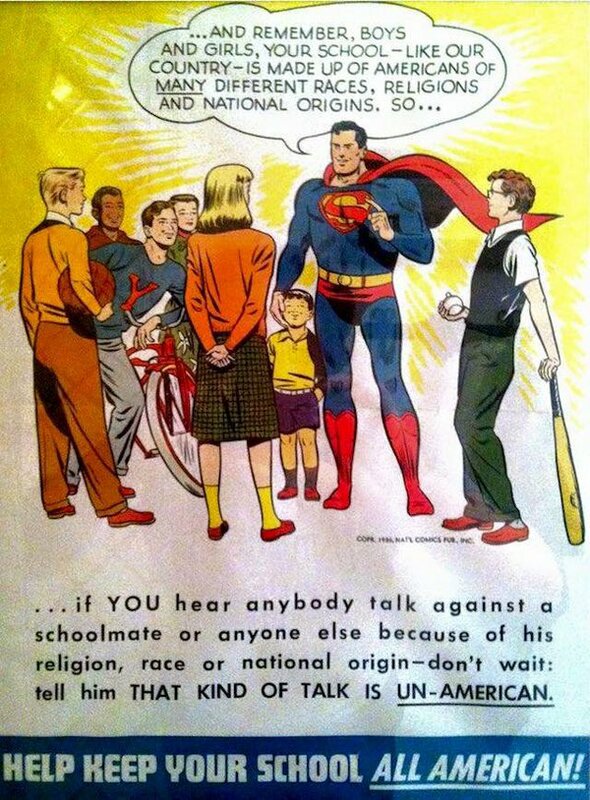 The logic here is refreshing. 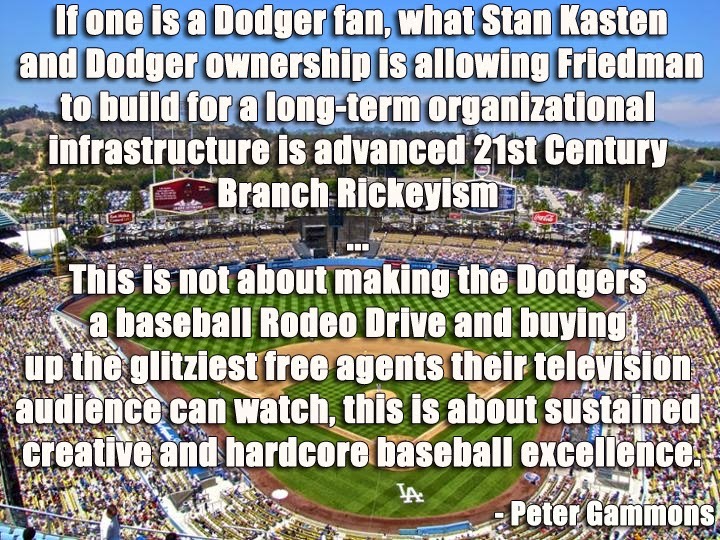 Via Tom Ley at Deadspin, "There's Nothing Wrong With The Dodgers Spending A Lot Of Money." The Dodgers' philosophy is based on paying market rates to keep their homegrown talent—players like Clayton Kershaw and Matt Kemp, who are, it's worth noting, much better than anyone the Cardinals have developed in recent memory—while using their massive payroll to soak up the big contracts of old-but-still-useful players (Carl Crawford, Adrian Gonzalez, Hanley Ramirez) that other teams aren't willing to pay for. That's a perfectly valid way to build a team, and one the Dodgers—a team in a big market with an enormous TV contract—are particularly well-suited to execute. It would be stupid of them to try and act like a small-market team and ignore their inherent advantages. And in any case, what the Dodgers are doing, in the simplest possible terms, is spending lots of money to put a quality product on the field that they're reasonably certain their fans will enjoy. They're willing and able to pay a premium for that measure of certainty. Topps is making large (10.5" x 14") gold border versions of the flagship Baseball card set and they are all "1 of 1's" priced at $99.99. 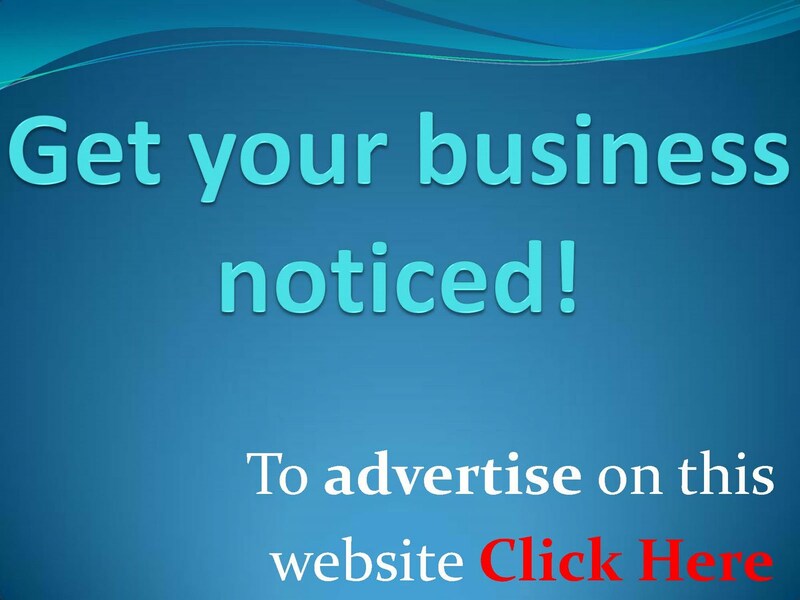 Go here to check them out. On the right is the Ryu card. For now, only the Series 1 cards are available, but you should expect Series 2 and the Update cards to be available soon. BTW, the Yasiel Puig card has already been sold. Via Jon Weisman at Dodger Insider, "Don Mattingly on what NLDS decision he would change." Mattingly replied that the only decision he would have changed would have been to use a right-handed pitcher, most likely Brian Wilson, to face Yadier Molina with the score tied in the seventh inning of Game 3, before bringing Scott Elbert in. 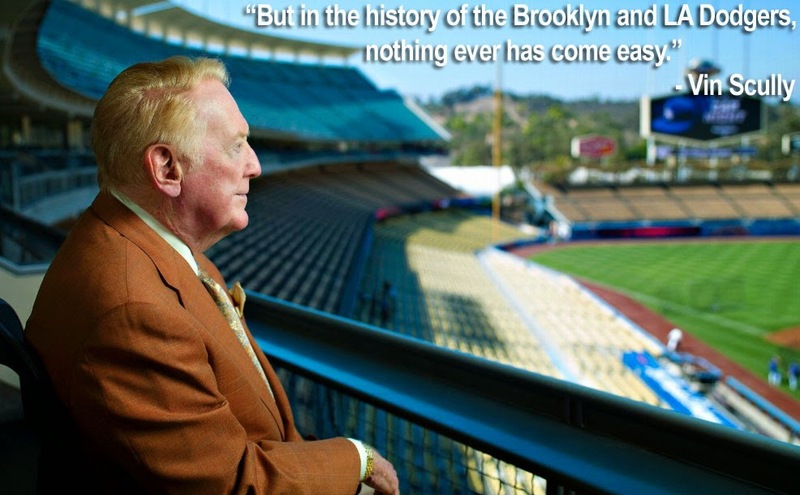 Via Justin Perline at Beyond the Boxscore, "Moonshots Episode 9: Dodger Stadium." Justin takes a look at the longest home run hit at Dodger Stadium since 2005.